Dendrochirus hemprichi is at first glance nearly identical to its Fuzzy Dwarf cousin, and it takes quite a bit of effort to tell the two apart just from looking at them. Most of the diagnostic traits that serve to differentiate them are modal counts, which means that there is a fair bit of overlap that can create uncertainty when attempting to make an identification. For instance, the number of scale rows spaced between the lateral line and the dorsal fin is slightly lower in D. hemprichi (5) relative to D. brachypterus (6)… but both can range above and below that number. It’s only when comparing a large number of specimens that such minor differences become apparent. In addition, D. hemprichi is said to have a modestly wider distance between its eyes, as well as having the last dorsal fin spine a tiny bit shorter than in D. brachypterus. 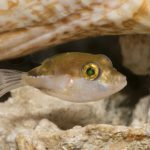 It’s also stated to have a spinier ornamentation on its head, but all of these features are incredibly subtle and likely impossible to use when it comes to identifying an aquarium specimen. However, despite their confusing morphological similarity, genetic study has indicated that these two species differ quite dramatically. 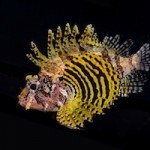 For reference, many closely related species complexes (Cirrhilabrus lunulatus, Pseudojuloides cerasinus, Centropyge flavissima) can appear almost identical in their DNA (or, at least the portions that have been studied thus far), but these two dwarf lionfishes have been found to differ by an impressive 9-10% in their cytB gene. Aside from the strong genetic signal, there is also an obvious geographic basis for recognizing two discrete taxa here, as D. hemprichi is recorded only from the Red Sea and the East African coastline, while D. brachypterus is a widespread species found throughout the remainder of the Indian Ocean and the West Pacific. 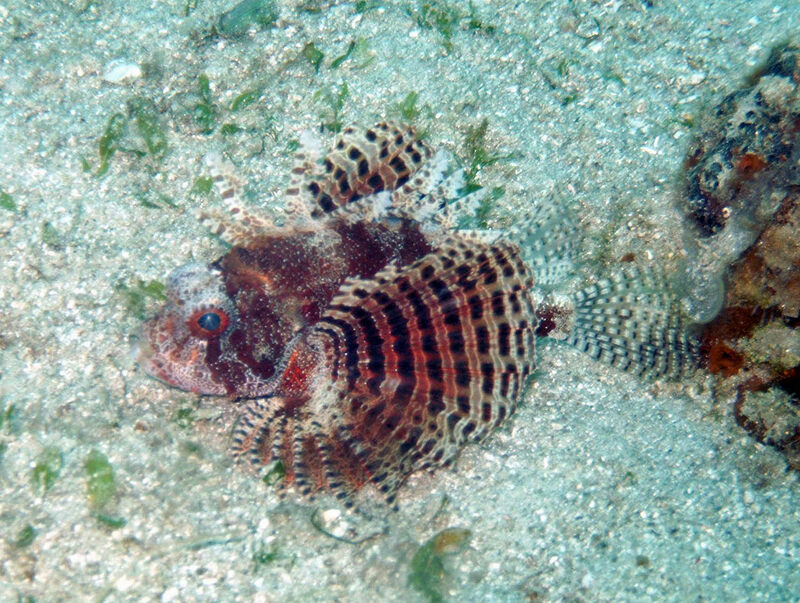 The authors have suggested the common name “Red Sea Dwarf Lionfish” for their new species, but, in my estimation, this is a poor choice seeing as D. hemprichi is not a true Red Sea endemic. 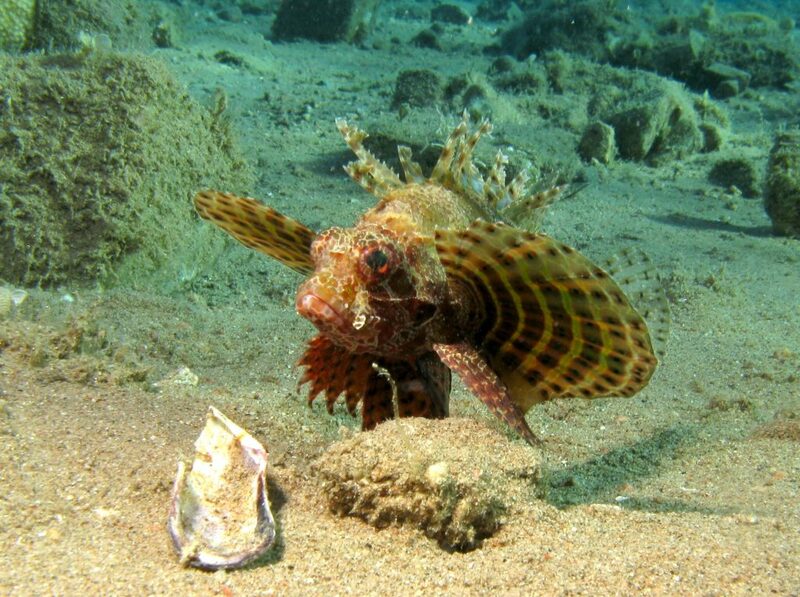 Rather, it appears that this fish is more widespread in the Western Indian Ocean, reaching as far as South Africa and east into the Mascarene Islands, and so I’m going to suggest a more meaningful and accurate common name here—the African Dwarf Lionfish. Lastly, I’d like to say a brief word about one of the most enigmatic members of this genus, the Tuamotu Dwarf Lionfish (Dendrochirus tuamotuensis). 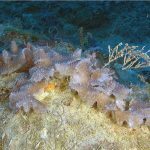 This little-known species was only scientifically described in 2013, and, for some reason, its remarkable discovery was mostly ignored by aquarists. Just a single specimen has ever been found, having been recovered from a trap set at 120 meters in the Tuamotu Islands of French Polynesia. 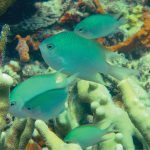 This apparent preference for deep mesophotic reefs in the South Pacific helps explain the rarity of this fish, as it occupies a similar niche as the elusive Cirrhilabrus claire. What’s equally intriguing about D. tuamotuensis is that it appears to be the only true dwarf lionfish in Polynesia. [Though note that the distantly related D. biocellatus does occur here, and D. barberi is found in Hawaii.] Of course, this raises the obvious question of why this group doesn’t have a shallow-water representatives in the region. 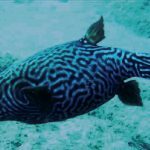 What forces have transpired to allow the fuzzy dwarf lionfishes to spread across the Indo-Pacific, from the Red Sea to Japan and Tonga, but not any further east? And this holds true for Dendrochirus zebra as well, another small (though somewhat unrelated) species which has an identical distribution. 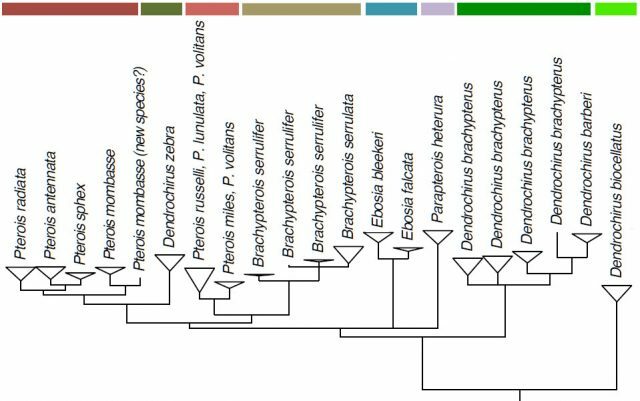 As I reported on previously, there is so much that we have yet to learn when it comes to the true biodiversity and evolutionary history of lionfishes. Matsunuma, M. and Motomura, H., 2013. 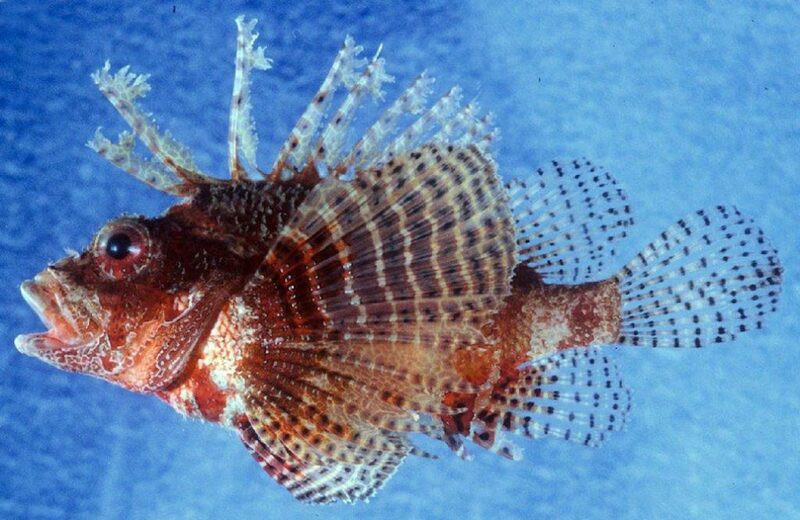 A new lionfish of the genus Dendrochirus (Scorpaenidae: Pteroinae) from the Tuamotu Archipelago, South Pacific Ocean. Species diversity: an international journal for taxonomy, systematics, speciation, biogeography, and life history research of animals, 18(1), pp.1-7.